Ronald Malcolm reads books for the CIA. He is a man who would have felt at home on the set of a M*A*S*H* show with the blatant disregard he has for the authority of his bosses but he isn't a disillusioned agent. He reads books. He also reads magazines and pamphlets and newspapers from all over the world but mostly he reads books. Malcolm had never thought of working for the Agency before he was offered the job. He was a college grad student, taking his Masters final exam in Literature. After he had written for a couple hours on various books from history, he came to the final question, one dealing with Don Quixote, a book he had never read. Rather than leave it empty or fake his way through it, he took the amusing approach of admitting he had never read it but then comparing Quixote and Panza to Rex Stout’s Nero Wolfe and Archie Goodwin. Two days later he was called into the Administrator’s office not to be chastised but to be queried about his interest in mysteries. 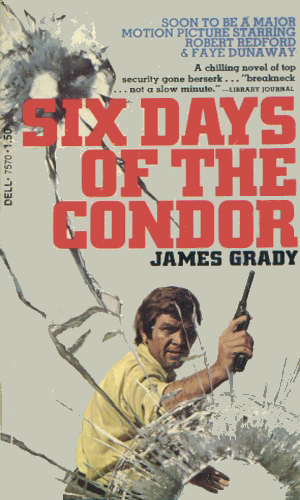 Then came the offer to read mysteries and thrillers and such for the government. After the standard background check, he was made a part of the American Literacy Historical Society, a cover for a department officially known as Section 9, Department 17 (CIAID). His office was in a brownstone two blocks from the Library of Congress where he spent each day reading and reporting on books from all over the world. As the series opens, he just read the wrong ones. 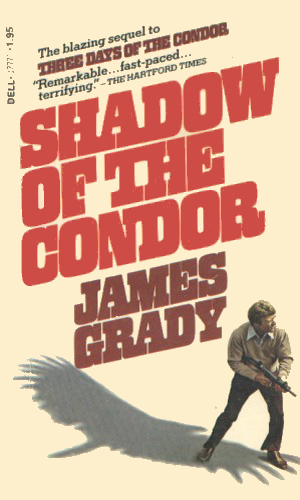 Another key character in the series is Kevin Powell, the aged wise man of the Agency, who is not above using the Condor in two separate instances even though he knew full well that his 'victim' was anything but a trained agent. When that division Ronald Malcolm works at is wiped out in a deadly attack, only he escapes. Now he wants to find out who killed his workmates and why the order was given. Ronald Malcolm has left the Washington area on 'extended leave', waiting for the time when the leave period would be over and he could separate completely from the Agency. Unfortunately, he makes the perfect bait in a new conflict between the U.S., Russia, and Red China. After many years, Ronald Malcolm is again being hunted by the authorities, branded a traitor for giving secrets to the enemy. 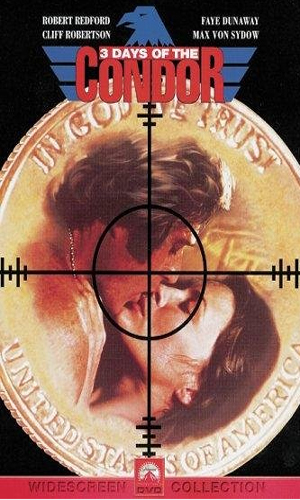 Chasing him is a young CIA agent who does not quite believe he is guilty and is possibly willing to risk her own life as well as his to prove it. 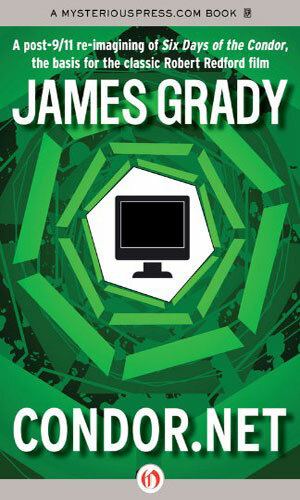 A re-telling of the original storyline in novella length, moving the tale to a post-9/11 world. Malcolm, is a research for the CIA who uncovers something happening in Afghanistan and makes the mistake of passing it up the chain, bringing about great destruction as a result. 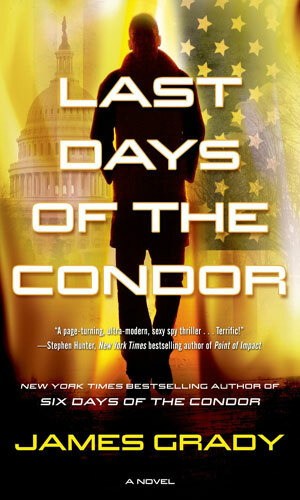 Ronald Malcolm, codename Condor, is being released from the CIA's asylum for troubled agents. It does not take long before someone decides he is better off dead. 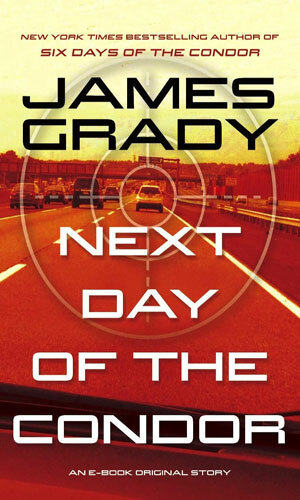 Writers: James Grady, David Rayfiel, Lorenzo Semple, Jr.
A book reader for the CIA is the only survivor of an attack on his division and now, hunted by the police and his own Agency, he must find out who did it and why and more importantly, who can he really trust. Having seen the movie of the first book long before I read the book, I was apprehensive. How can you improve on a Robert Redford movie, especially when it has the other acting geniuses like Robertson, Dunaway, Houseman, and Von Sydow? My worries were for naught. The book was fantastic and held my attention from the rainy beginning to the bloody end. And, since the ending was so drastically different from the movie, the whole last third of the book was like a brand new episode. I had more trouble getting into the second book but, with effort, it should be tried because it does get going and is worth it.